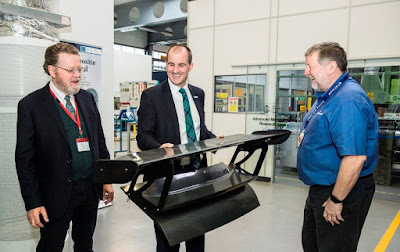 Northern Powerhouse Minister Jake Berry recently visited the The University of Sheffield Advanced Manufacturing Research Centre (AMRC) in Rotherham to witness world-leading research and the training of the manufacturing workforce of the future. With significant state of the art facilities on the Advanced Manufacturing Park (AMP) in Rotherham, the AMRC is a partner in the HVM Catapult (the Government's strategic initiative that aims to revitalise the manufacturing industry). It carries out world-leading research into advanced machining, manufacturing and materials and has more than 100 industrial partners, ranging from global giants like Boeing, Rolls-Royce, BAE Systems and Airbus to small companies. The AMRC works with its partners to help improve productivity, de-risk investment decisions, and accelerate the early adoption of Industry 4.0 technologies to improve performance and quality. It is a place where digital meets manufacturing, with world-class expertise in augmented and virtual reality, robotics and automation; intelligent machining; digital twins; data analytics and more. Mr Berry, a University of Sheffield alumnus, was taken on a tour of the AMRC's Factory of the Future, Factory 2050 and its Training Centre during his visit. More than 1,000 young people, employed by 250 small and medium sized companies across the Sheffield City Region, have been trained at the AMRC Training Centre - a multimillion pound facility on the AMP. 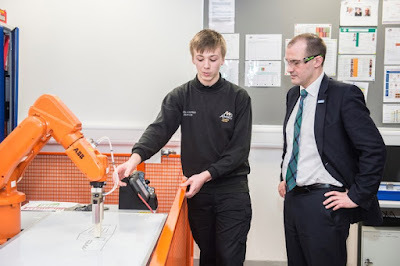 Northern Powerhouse Minister, Jake Berry (pictured, top centre), said: "I was delighted to visit my alma mater, the University of Sheffield, including its state-of-the-art AMRC Training Centre which is helping to train the next generation of engineers and manufacturers in the Northern Powerhouse. "The University of Sheffield is at the forefront of higher education in the UK and joins a number of British universities commanding high positions in global rankings – they contribute enormously to the international standing of the Northern Powerhouse and its reputation as a world-leader in research and academic excellence." The University of Sheffield used the visit to sign up as Northern Powerhouse partner. Professor Keith Ridgway, executive dean of the AMRC (pictured, top right), added: "It's been a pleasure to show the Minister just how integral we are to future of the Northern Powerhouse. 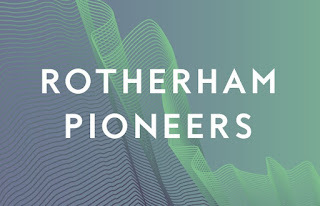 "Our research and innovation assets, coupled with a strong skills and talent base, are making the Sheffield City Region the go-to place for global manufacturing companies like Rolls Royce, Boeing and McLaren. All three have chosen sites alongside the AMRC to build their own factories of the future. This is transforming the Sheffield City Region into the Advanced Manufacturing Innovation District of the North: the place in the UK where digital meets manufacturing." Ridgway added: "The AMRC model is now being rolled out in the North West of England and in North Wales. We are opening an AMRC North West near Preston and we will be operating the £40m Advanced Manufacturing Research Institute on Deeside, supporting the "wing of tomorrow" project for Airbus. We also are helping to shape the destiny of the £60 million National Manufacturing Institute for Scotland, an industry-led international centre of manufacturing excellence near Glasgow. "If you join the dots between these centres of excellence you have a powerful story of manufacturing renaissance in the North driven by research and innovation assets linked to universities."